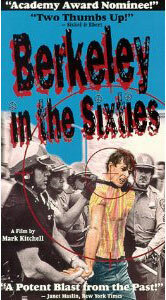 I am often contacted by persons wishing to interview me for oral histories of this period in time–on the 1960s because of my participation in the documentary film, “Berkeley in the Sixties,” and on the 1970s because of my book. This blog is aimed at those interested in the 1970s. For sixties people, I have a separate blog – Berkeley Backlog. While I consider the book to be a good starting place for those interested in the “back-to-the-land” movement of the 1970s and might humbly point out that, as far as I know, this is still the only book written about the counterculture by an anthropologist who was trained first, then lived it for more than a weekend at a time, it does have its limitations. For one, there’s the style. The only way, logistically, I could produce a book was to write it as a dissertation. The published book is my doctoral dissertation, written with the book in mind, de-academized as much as possible, with a chapter added that my committee refused to sign off on. (Which one? ha, see if you can guess!) A dissertation has to be approved by one’s committee and a book published by an academic press has to make it past an academic editor. There was no way around this. My original goal in writing the book was, in fact, not to produce a doctoral dissertation or to get a PhD. My original goal was to make available to the general public a knowledgeable, systematic, objective, professional account of the back-to-the-land movement as it manifested in southern Humboldt County, so that persons wishing to change American culture at the level it needs to be changed to raise the probability of human survival, would have good data on what happened to one group of people trying to do that. I wished to produce an account by a person who actually experienced the events that led to the counterculture and then the evolution of the counterculture itself in that location. The book became a dissertation because that was the only way I could– as an incredibly poor woman running a household for four children and a husband in a building built as a barn, without electricity, telephones, decent roads or even a reliable car– bring it to pass. Knowing that I had the book as a goal from the beginning, I carefully observed, photographed, tape recorded and kept journals and notebooks as much as possible from the time of my own arrival in southern Humboldt County in 1971 until I left for my return to graduate school and then during my vacations from school. I also actively interviewed the people I encountered along the way. But, when the time came to write the book, I hit the situation described so well by Virginia Woolf in her essay “A Room of One’s Own.” For a woman to write, she needs free time, support money and a room of her own. The only way I could see to write my book was to return to graduate school, get a half-time job and write the book as my dissertation. The PhD was a side effect of the dissertation and the dissertation was intended all along as a book for the general public. The husband fell along the wayside and that was the end of my step-mothering of the two step-children, though I continued to love them dearly. My own two children, I kept with me except for times when they were with their respective fathers. My doctoral committee was very clear on my plan to write a dissertation that could be adapted as a book for the general public, so there was no deceit involved, but to qualify as a dissertation, certain parameters had to be met and that, in combination with the death struggles I experienced with my editor at Washington State University Press, inevitably affected the final product. Another limitation affecting the book’s usefulness as a historical document is that, because the book had to meet the basic requirements of ethnography, I had to describe and stipulate an “ethnographic present” and define my study area much more precisely than I would have done for a simple history. Fluidity being basic to counter-cultural processes, these academic requirements have always felt wrong to me. While it is necessary for anthropologists to use conventional language and methods so that we can use each other’s data, the conventions were developed to study traditional societies. What I was studying was not that. To understand modern cultural phenomena, new conventions must be developed. There are arguments, and I presented them in the book, for seeing the culture of Shum as more than a subculture, different than a movement and far more than something like a corporate culture, but not at a level of organization similar to a traditional culture. I described it as an embryonic culture, one being evolved by its participants and one that, if never fully established, could yet be studied productively in the same way short- lived phenomena are studied in physics. What I hope for this blog is that it will provide for persons interested in the counterculture in southern Humboldt County CA, a place sometimes called “Mateel” and sometimes called “SoHum,” primary data for further study. It includes experiences, thoughts, documents, photos, interviews, published and unpublished material other than the book itself and ongoing commentary on what has happened after the ethnographic present of the book. In this way, I can address the issues that were abandoned in favor of the academic parameters imposed on me. In addition, it will allow me to reduce the clutter in my apartment deriving from all those archives I have carefully preserved through endless changes of residence and, more importantly, to discharge all the negative emotional feelings that have accrued to me over the years from the manhandling I have experienced from editors–book editors, my doctoral committee and my bosses during the five years I worked as a reporter. Another incentive for writing the book came somewhat after I first arrived in SoHum, decided I would write about it and began traveling around with my notebook and camera at the ready. This is that, at a particular point in time, I became fully aware of the potential of the marijuana industry to draw persons to the area who did not share the back-to-the-land values of the people I was observing. I believe I realized much earlier than most that, if there was indeed a shared vision, it was in grave danger of being swamped, distorted and subsumed by the advent of the growing industry. I feared early on that the entire geographical area, mainstream and hippie alike, would come to be defined by the outside world through the lens of the marijuana industry and that is exactly what happened. This realization gave me a needed kick in the pants to describe it now, quick, before it was gone, so that it could function as a yardstick for Shummers down the road, which it has, and as a potential counter to future attempts by mainstream institutions to demote us all to criminals. I state in the book that if it was destroyed, then I was studying short-lived phenomena, but in my heart I knew there was no “if” about it. It was, then, to some degree, an apologia and I will not deny that some of the apologia aspect of it was very personal. I wrote that book with my own back east relatives in mind, not that any of them ever read it. I envisioned that others trying to explain themselves to their families could simply hand over my book and say, “read this” and I know of at least two cases where that actually happened. In my case, handing the book over to my family didn’t help much, but “handing it over,” metaphorically, to my former anthropology colleagues and professors kinda did the trick. I have coined the word “Shum” for this blog because the word “Mateel” has become corrupted by subsequent events. That is, it doesn’t say for me and many others what it used to say. Nowadays when speaking, I use the word “SoHum,” but that has a connotation more geographical than cultural. I always called the place and the community I described “Shum” in my heart, condensing SoHum, which is, of course, an abbreviation of “southern Humboldt.” That is because Shum sounds so Biblical and my experience of being cast out of Berkeley in 1970, along with many other cultural refugees, felt quite Biblical to me. It was an exodus and a diaspora, if not quite an exile. In addition, regarding my made-up word Shum, it amuses me to co-opt Biblical style, by way of thumbing my nose at my deeply religious Baptist upbringing and the Baptist Bible college that threw me out in 1961 largely because of my views on integration, free love, women’s rights and personal freedom, oh, and my failure to conceal these views. (I am actually lucky to have survived that year physically unharmed and, believe me, it was close.) That would be Norman College, Norman Park GA, 60 miles northeast of Tallahassee FL, between Moultrie and Tifton GA, not far from Valdosta, in the very heart of the Bible Belt. When I took a Google Map tour of Norman Park GA recently, I discovered that the campus is now a Baptist convention center. Whether Norman College still exists somewhere else, I could not bring myself to discover. Privacy is a major concern of the countercultural residents of Shum, and I have received much blowback about my book from paranoid people who do not validate my contention that mainstream American culture needs a reliable account of what happened in Shum in order to make informed choices about culture change. I am therefore stating here that no true names of living people will ever show up on this blog without prior permission. General place names, yes; personal names, no. And, by the way, addressing those people who object to the existence of the book on the grounds that it may provide information useful to law enforcement, nothing shows up in the book that could have been useful to your adversaries that they didn’t already know, anyway. Although I never interviewed anyone without establishing whether I had permission to use her or his name, I will change even the names of those persons who gave me permission, when presenting any previously unpublished material. If the material comes from the public domain, i.e., has been published, then I feel that specific permission is not required. So, Shummers, you’ll have to figure it out from context and your own personal knowledge and non-Shummers, you do not need names because we’re talking about events and processes. Ethnographies of traditional societies only include personal names because those individuals are protected by distance from the readers. My group is not so protected. My own experience, following well-established countercultural values, is the one thing I do have the right to control and I feel no compunction about describing anything that ever happened to me, mentioning no names and avoiding as much as possible anything that might embarrass my own family members. This entry was posted in Introduction and tagged Anthropology, Back to the Sixties, Beyond Counterculture, Introduction on September 10, 2012 by Jentri.